Darkness is one of the most difficult situations to work with. Cameras have come a long way towards improved performance in low light but no light is an entirely different can of worms. Unless your goal is to create more ISO snow than Christmas in Alaska you need to introduce light. Flash is great at pouring some much-needed illumination into the frame but it isn't so great at making sure that your camera is in focus when you do so. Even the best autofocus system in the world continue to struggle in the darkness so, as photographers, it is our job to stack the deck in our favor by leveraging strategy to give our focusing systems a leg up. Part of creating value as a photographer is being able to create images that most others cannot. Heading out during amazing light to snap sun flare portraits with a blown-out sky certainly can look cool but it is fruit within the reach of virtually anyone with a camera phone. By building your skill set towards being able to create strong images in situations that would normally have other photographers scratching their heads in dismay puts you at a distinct advantage that empowers you to deliver in situations where most struggle. Being able to effectively work in the context of darkness is one channel in which this can be achieved. If the scene is so dark that you can barely see your subject, don't expect autofocus to have a prayer of finding enough contrast to focus the lens. Instead, give it some help. Most cameras come with some sort of crappy autofocus assist lamp built in. These lamps tend to be unreliable at best with limited range. Half of the time your lens ends up blocking the autofocus lamp or you want to focus on part of the frame that the lamp fails to illuminate. These lamps are OK in a pinch but if you are planning for a successful shoot don't waste time fighting with them. The same goes for IR-style focus assist lights that sit on your hot shoe, usually as part of a wireless trigger or a speedlight. In certain situations, they can be great, but like the assist lamp, they have a narrow beam and often lack the range for the shot you are looking to make. Instead, a cheap LED flashlight from your junk drawer is a boon to help your focusing woes. Stick your camera on a tripod so it is easy to hold while one hand is tasked with handling the flashlight. Then, simply point the light at your subject, focus your camera, and turn the light off to take the shot (the last part is very important or you will have this horrible pin prick specular highlight on anything shiny, including eyes, even if the flashlight doesn't otherwise impact the exposure). Have you ever heard people argue about why a wide-aperture lens is a waste of money if you don't always shoot it wide open? Well, here is one example of why investing in those fast lenses can be invaluable to creating images in the dark. Because you are depending on a portable light to assist your autofocus there is going to be a slight delay between focus achieved and depressing the shutter as you move the flashlight off the subject. This means there is a hint of a second for the model to move. When shooting with a razor-thin depth of field, any movement can toss the subject out of focus. By stopping down you empower more breathing room which allows the model some movement before an image is unusable. Having the wide aperture lens, however, is still a worth its weight in gold for dark situations. Even with the assist of a flashlight, your camera is also going to be working quite hard to nail perfect focus. Regardless of what aperture you are actually shooting at the camera leaves the lens wide open to focus. The brighter the lens is wide open the more light your camera has to work with when autofocusing, which will translate to faster and more accurate focusing. That said, this really only remains relevant assuming the lens is very good at focusing. You may find that a slower but much higher quality lens is able to handle low light focusing more effectively than a cheap entry level prime. When all else fails you can also simply manual focus your lens, even if the darkness is so dim that you can't even see the subject through the lens. How? The first step is to make sure subject and camera are pretty static. Gaffer tape a mark for your model to stand on so you always know that they will be in the same relative position. Then put your camera on a tripod to keep it in place. Measure the distance between subject and camera so you can set your focus exactly the required distance. Make sure to stop down your lens so that the plane of focus is deep enough to allow for some margin of error as no living subject will be able to stay perfectly on the plane of focus and the focus distance meters on lenses aren't always perfectly accurate. My suggestion would be to actually calculate your depth of field so you know exactly what your plane of focus is. Also make sure to have your lens is perpendicular to your subject, as soon as you introduce angle the plane of focus becomes much more difficult to accurately calculate. Shooting in the dark both requires practice and patience. This sort of shoot isn't the sort of situation where you want to be done in five minutes hoping for glorious results. Take your time, think through each problem, and solve each calmly. Furthermore, make sure to shoot more images than you normally would of each pose to account for missed focus. Finally, take the time to make sure your working area is clear of hazards that may be accidentally tripped on in the darkness. Nothing ends a shoot faster than a model taking a brutal tumble on their face. Shooting in the dark with flash can be incredibly rewarding as it can yield images that have a radically different look and feel to what the average photographer is able to create. Practice is key to being able to maximize these sorts of situations. Approach each with a rational plan on how you will create the images you seek so that when the moment comes you can be completely focused on working with your subject. Don't let initial poor results deflate your enthusiasm. Shooting in the dark is hard, keep at it and you will be rewarded. Hi Ryan, please allow me to suggest one more option: In underwater photography very low or no ambient light is pretty common. 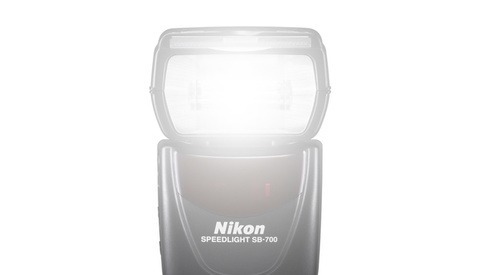 The solution to help your camera focus are so called focus lights with an flash auto-off sensor. These little torches turn off upon sensing a flash or pre-flash and come back after 2 seconds or so. You can mount them on a small light stand and they last for several hours. They come with wide or narrow beam angles and are are affordable, too, starting at around 50EUR/60USD. They work perfect for me, both under and above the water. Hi Evan, sorry mate, I'm a rookie here and wasn't sure whether I'm allowed to post links. Google for "underwater focus light auto flash off" and you get an idea about what I'm talking about. They also say that there's a hot shoe adapter available. Thanks for the tips Ryan. When I first started doing wedding photography impending darkness was a real problem at the end of the day. I learnt to encourage couples, when I was helping them work out a timetable, to make sure that all outdoor photography was finished at least a half hour before sundown.I was shooting manual focus and wore glasses and trying to take wedding shots in almost darkness was a real challenge.My solution was to have a small torch with me and I would hand it to someone in the bridal party and get them to turn it on so I could get focus. It worked pretty well but was difficult trying to get the 2 halves of a split image focus to come together. I usually tried to use the straight line on the edge of shirt collar or lapel for this.Modern technology now makes all this a lot easier but there are times when you need to do some of the things you are suggesting.All good tips. Autofocus cameras added about 20 years to my photography career.I didn't trust them to start with. Your article was a good read . . . but it brought back nightmares. Many, many years ago I was asked by an educational organization that I was doing pro-bono work for to shoot some photos of Julie Payette, Canada's first female astronaut. The photos were to be done whilst she was giving a presentation to a large group of school children, and, in a planetarium . . . flash was obviously a problem . . . too much and everyone's' eyes would be screwed up. Also, this was in the day of film and no autofocus . . . sheesh. Got a couple of photos that were good . . . but I still shudder when I think of it.